Biker Zone Is Turning 5! If you’ve ever visited or lived anywhere in Egypt, you’ll maybe notice that Egyptians seem to have a great love for motorcycles and underground sports in a friendly and festive environment. So, it would make sense for an event like Biker Zone, the first and most popular in the field of outdoor sports, to be a great success here in Egypt. A success born from just a simple idea, Biker Zone specialises in the fields of motorsports, freestyle BMX, rallying and off-roading. 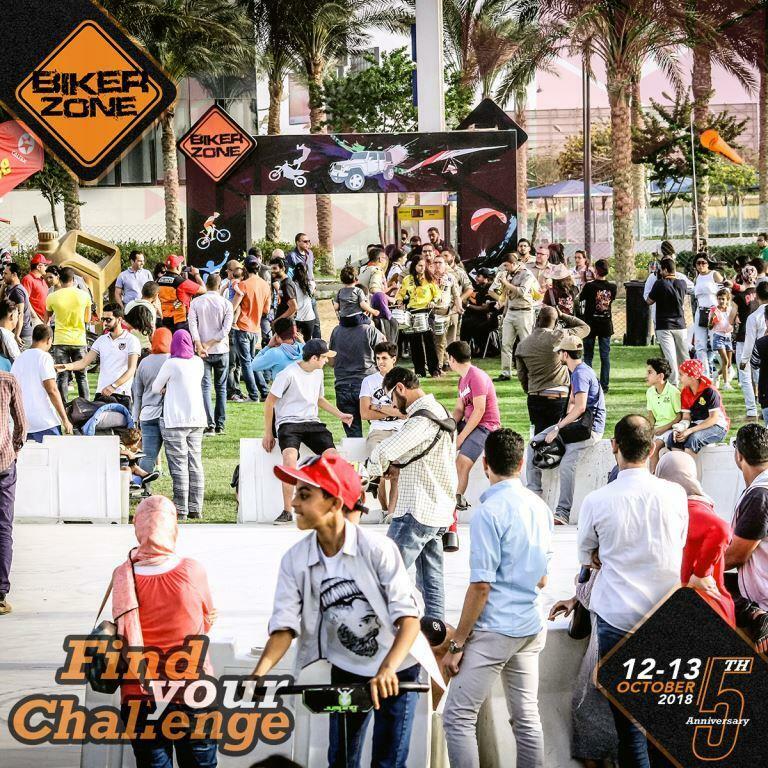 This year’s Biker Zone event will be held at Cairo Festival City on October 12th-13th, and is sure to attract a great deal of attention in celebration of its 5th anniversary. Last year’s event featured over 70 prominent brands and 35 exhibitors, including Ducati and Yamaha, as well as some underground brands, and welcomed over 14,000 visitors! The event guarantees a great deal of fun for attendees of all ages. Mahmoud Mazen, Managing Director of Phenomena – the event’s organiser – states that he is extremely proud of and happy with the success Biker Zone has received. “This year, the event holds many new zones, and different and great surprises. All lovers of sports, of all ages, will enjoy themselves,” he explains. This year’s event will feature several multinational companies, and will introduce various products and services, at least one of which should appeal to any attendee.